Stay three nights or more and receive a nightly $100 resort credit toward spa, dining and activities. The longer you stay, the longer you can play. The Edge House at Blue Sky is an iconic wellness retreat that invites guests to disconnect from devices and retune to nature. Stay a minimum of three nights and receive a complimentary yoga class for two or a 60-minute complimentary massage for two. Indulgent treatments provide a well-deserved pause, while mindfulness practices, such as yoga, direct attention inward, encouraging introspection and a reconnection with the breath. 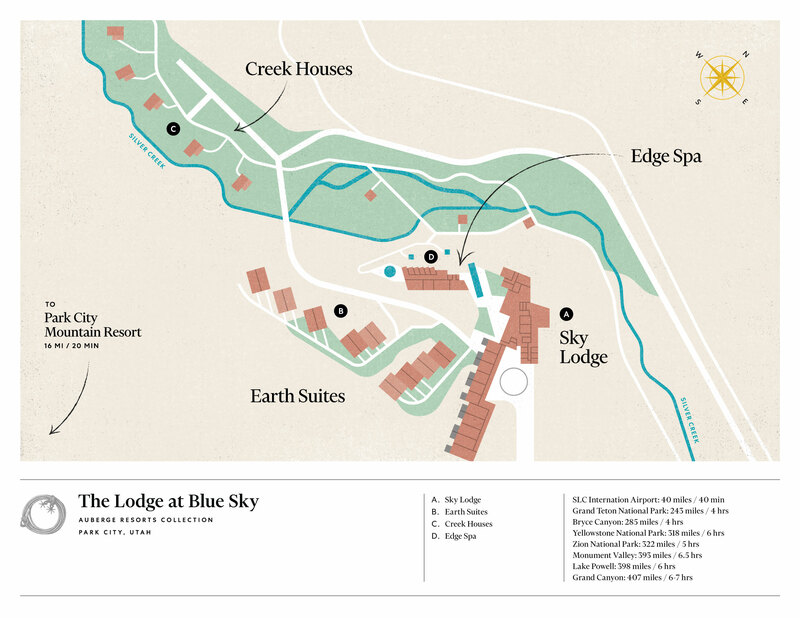 Blue Sky’s 3,500 acres of pristine Utah wilderness offer couples the ideal setting to reconnect with each other and nature. Stay a minimum of three nights and enjoy a complimentary couples experience. Choose between a horseback riding adventure to our Tavern with a rustic picnic lunch served with breathtaking views of the Wasatch and Uintas mountain ranges, or a 60-minute massage for two in our Edge Spa, in a treatment room overlooking a gorge, murmuring creek and soaking pools. Immerse yourself in a sportsman's paradise. Book our four-night Cast and Blast adventure to receive preferred pricing on a half-day sporting clays experience and a half-day fly fishing excursion. Enjoy a guided fly fishing excursion on Blue Sky’s prized private waters consisting of high alpine lakes, rivers, and small streams, or on our local Blue-Ribbon waters. Then, try your shot at sporting clays with a private instructor on our world-class sporting clay courses.